The Seattle Metropolitan Singers ("the Met") is a chorus for women of varying levels of ability. All are welcome from the novice to the very experienced. The music performed ranges from traditional spirituals to foreign language pieces to popular music—variety is the spice of this choir! Opportunities are available to those who wish to perform solos, duets and small ensembles. The season runs from September through early June. Small concerts are peppered in along with two large performances in December and June. Allan Andrews, the Seattle Metropolitan Singers music director, moved to Seattle in 2012 after retiring from a 34-year career of teaching choral music in Oklahoma and Texas. Allan received his BMus from Oklahoma City University, and his MMus from Midwestern State University in Wichita Falls, Texas. He began his career as choral director at Lawton High School (Lawton, OK). After completion of his master’s degree, he taught at both the high school and college level in Texas, retiring after serving as Head Choral Director at R. L. Turner HS in Carrollton, a suburb of Dallas, and at Northlake College, one of the colleges in the Dallas County Community Colleges. He is a frequent clinician and adjudicator across the Southwest, and has also served as an adjudicator in Washington, Oregon, and Alaska. Allan serves as Artistic Director for the Swedish Singers of Seattle, a member chorus of the American Union of Swedish Singers (AUSS), and holds the position of national director with the AUSS. He is the Director of Music at Mt. Baker Park Presbyterian Church in Seattle. He is a member of the board of both the Greater Seattle Choral Consortium and the Washington Chapter of the American Choral Directors Association. Edelmar Obenza, The Seattle Metropolitan Singers accompanist, began his career with the Met in September 2013. He is a talented and well-versed piano accompanist, with over 12 years of piano accompaniment experience under his belt. In addition, Edelmar trained vocally with the Northwest Boychoir for eight years, leading to six years of choral conducting experience focusing on religious worship. Edelmar also sings with the professional vocal group, the Byrd Ensemble, which has performed medieval, renaissance, baroque and modern music across the United States. Along with his work with The Met, Edelmar is a liturgical accompanist for Holy Rosary Catholic Church and Music Director for St. George Episcopal Church, accompanies the Seattle Girls' Choir, teaches piano, and plays at weddings and other events. In addition to piano, he plays both acoustic and bass guitar, as well as various percussion instruments. In his limited spare time, Edelmar enjoys teaching Pilates, practicing Kung Fu, wrenching on his car, and playing chess. An audition and previous choral experience are required, but don’t be daunted. If you haven’t sung in a choir in awhile, this is a perfect opportunity to get back in it! The Seattle Metropolitan Singers are a very warm group who pride themselves on camaraderie and fun. The choral group performs in a variety of venues including neighborhood musical halls, retirement communities, and the annual Figgy Pudding Caroling Competition. We host a Spring Concert and a Holiday Concert. Check our Events page for our current performances! 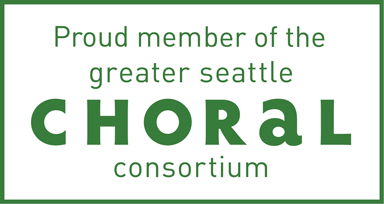 As of January 7, 2019, the Seattle Metropolitan Singers are not auditioning for new members. Auditions will be held in August for the Fall 2019 season. The Seattle Metropolitan Singers' season runs from September to June. Membership is through low-key auditions, which are held in August and early January. If you’re interested in joining, send an email to the_met@seattlegleeclubs.org. Please include which part you usually sing (A1, A2, S1, S2), any prior choral experience, and how well you read music. Rehearsals are Monday evenings from 7:00 to 9:15 p.m. at the Rainier Arts Center in Columbia City, 3515 S Alaska Street, Seattle, WA 98118. Based on a 9 month season, members pay donations of $40 per month. Scholarships are available, and considered on a case-by case basis. Interested? Email: the_met@seattlegleeclubs.org for more information! We look forward to having your voice join with ours!